NASHVILLE, TN.– June 26, 2018– Leading business assurance solutions provider Equinox Information Systems reports today that Evolve IP, The Cloud Strategy Company™, has expanded their license for the Protector fraud management solution (FMS) from Equinox to monitor additional domestic network traffic for the company’s contact center as well as to process additional international traffic from acquisitions in the Netherlands and the United Kingdom. 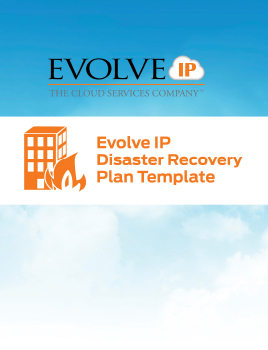 Evolve IP selected the FMS to defend against suspicious, abusive, or otherwise fraudulent activity as they continue their global growth. Currently processing 1.7 billion records a day for service providers around the world, Equinox has been helping telecom companies stop fraud, mediate usage data, manage expense, and optimize revenue since 1986. The two companies have had a relationship since 2014 when Evolve IP initially selected Equinox to provide a fraud management solution. As part of their ongoing business assurance efforts, Evolve IP later deployed the CMP web-based monitoring tools, participated in the Equinox’s fraud management conference, and worked closely with Equinox on several SIP monitoring protocols. To meet their recent global network growth, Evolve IP sought Equinox’s assistance with monitoring for increased volume and for their omnichannel contact center solution, the Evolve Contact Suite, and to handle expanded international network traffic. Protector has well earned its reputation as the most reliable and cost-effective solution by saving carriers hundreds of millions of dollars in annual fraud losses. The automated FMS instantly notifies analysts when suspicious activity occurs, escalates alerts for high-risk incidents, enacts automatic blocks when warranted, and includes integrated case management tools to speed investigation and incident closure from any location. Because it employs dynamic usage profiling and proprietary monitoring metrics, it detects all fraud types—even the newest schemes—across all customer bases and call types. Since 1986, Equinox has helped telecommunication customers around the globe protect and optimize revenue. During that time, Protector has well earned its reputation as the most reliable and affordable FMS on the market, saving carriers hundreds of millions of dollars in fraud losses annually. Besides fraud management, Equinox also offers solutions in areas critical to profitability and network efficiency, including data mediation, usage analytics, network analysis, revenue/expense management routing assurance, and custom application development. To learn more, visit www.equinoxis.com.